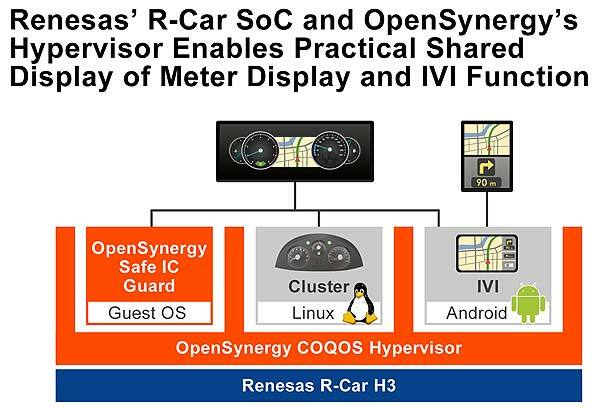 Renesas Electronics Corporation, an industry-leading supplier of automotive semiconductor solutions, and OpenSynergy, a market leader in automotive hypervisors, today announced that the Renesas’ system-on-chip (SoC) R-Car H3 and OpenSynergy’s COQOS Hypervisor SDK have been adopted on Parrot Faurecia’s automotive safe multi-display cockpit. The latest version of Android™ is the guest OS of the COQOS Hypervisor, which executes both the instrument cluster functionality, including safety-relevant display elements based on Linux, and the Android-based in-vehicle infotainment (IVI) on a single R-Car H3 SoC chip. The COQOS Hypervisor SDK shares the R-Car H3 GPU with Android and Linux allowing applications to be presented on multiple displays, realizing a powerful and flexible cockpit system. Renesas’ automotive R-Car H3 SoC provides the optimum function and performance for integrated cockpits and connected cars. The R-Car H3 GPU and video/audio IP incorporates virtualization functions, making virtualization by the hypervisor possible and allowing for multiple OSs to operate independently and safely. Open Synergy’s latest virtualization technology, COQOS Hypervisor SDK, is built around a safe and efficient hypervisor that can run software from multipurpose OSs such as Linux or Android, RTOS and AUTOSAR-compliant software simultaneously on one SoC. It makes use of the R-Car H3 virtualization functions to make the best use of the R-Car H3’s performance and ensures high reliability. The instrument cluster functionality, which requires a high level of reliability, is rendered by Linux. Although Linux is an ideal operating system to render instrument cluster, it cannot provide the required safety (ASIL) level by itself. For this reason, OpenSynergy has developed the Safe IC Guard as a safeguard mechanism. 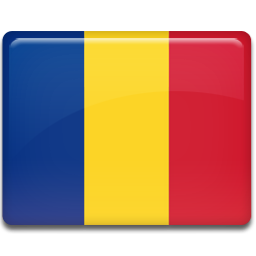 It runs on a separate guest OS and verifies that safety-relevant information is displayed correctly. Open Synergy’s COQOS Hypervisor SDK allows multiple OSs to use the R-Car H3 GPU concurrently without interference and to access to several multiple displays. The IVI application running on Android and the instrument cluster running on Linux can share the same display. A screen manager controls the shared display within the instrument cluster so that the respective image content does not obscure safety critical information. The COQOS Hypervisor SDK also includes an AUTOSAR-compliant CAN gateway that runs on the Arm® Cortex®-R7core on the Renesas R-Car H3. This allows a seamless connection to the in-vehicle network.